For Apache SAPIs (php5_apache2_2.dll), be sure that you use a Visual Studio C++ 9 version of Apache. We recommend the PHP builds as provided by ApacheLounge. For any other SAPI (CLI, FastCGI via mod_fcgi, FastCGI with IIS or other FastCGI capable server), everything works as before.Third party extension providers must rebuild their extensions to make them compatible and loadable with the Visual Studio C++9 builds that we no longer provide. the last one actually missing and should be back in 5.3.4. Got fb building cleanly and passing all tests under Ruby 1.9.1. Now for 1.9.2. Got fb building with Ruby 1.8.7, 1.9.1 and 1.9.2. At least on Mac. Under 10.6. Testing Linux and Windows will have to wait for another day. The Qt toolkit contains many great SQL drivers and among them is also an InterBase / FireBird SQL driver. But the Windows version of the toolkit ships with SQLite and ODBC driver binaries only. The other ones have to be built by ourseleves. This article describes how to build the FireBird driver using MinGW 32bit version of Qt 4.6 for Windows. Ruby Firebird extension fb-0.6.7, with better support for non-English versions of Windows, is on rubygems.org and github. 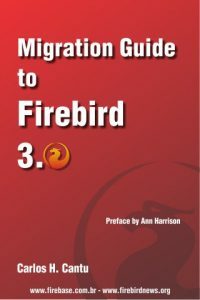 Guacosoft.com has released XMLWizard, a new tool used to import data into Firebird databases. It supports XML, CSV and fixed-width textual files. XML import has some unique features like support for nested XML files and loading data from XML properties. Beside importing, the tool can be used to compare the data from file against the database and cherry-pick the changes manually. More info, and a demo video can be found at XMLWizard website.